Why would I need self storage in Dearborn, MI? There are a variety of reasons why you might need self-storage in Dearborn, MI. How much is a storage unit in Dearborn, MI? The cheapest storage unit in Dearborn, MI is $40.00 per month. What size storage units do you have available in Dearborn, MI? In Dearborn, MI we have sizes that range from 5'x5' to 10'x30' to suit your storage needs. How much is it for a 5'x5' storage unit in Dearborn, MI? The cheapest 5'x5' storage unit in Dearborn, MI is $40.00 per month. Dearborn is a large, enterprising city in the Detroit metropolitan area, part of Michigan's Wayne County. The Ford Motor Co. is a key employer in the city, and Dearborn is also an important health care and retail center. Its industrial heart is complemented by its many parks and sledding hills, providing scenic recreational areas for locals to enjoy. The city's name is a tribute to Henry Dearborn, a general during the American Revolution and President Thomas Jefferson's Secretary of War. European settlers joined Native American tribes in the area in 1786, but the city was officially founded in 1836. A year later, the Michigan Central Railroad arrived, stimulating population growth and infrastructure in Dearborn. Henry Ford, the founder of the Ford Motor Co., chose Dearborn for his company's headquarters and his home. This would become a major catalyst for the city's growth, providing jobs and attracting new residents to the area, as well as cementing Dearborn's status as a center for auto manufacturing. To this day, Ford's world headquarters remains in the city. Dearborn enjoys an unemployment rate that's significantly lower than the national average, which is a good sign if you're planning to look for a job in the city. 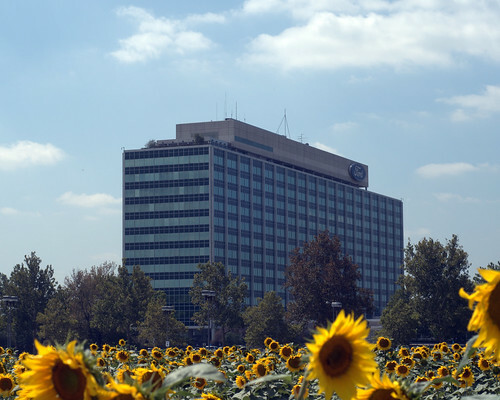 The Ford Motor Co. is a major employer in Dearborn, but the city's economy is strengthened by a variety of businesses. The city is also home to the headquarters of 3-D prototyping and manufacturing firm EnvisionTEC, clothing manufacturer Carhartt and the Hollingsworth Logistics Group. There are smaller businesses too, like family-owned restaurants and specialty retail stores. Together, these businesses supply a variety of jobs for locals. Other major employers in Dearborn include Oakwood Healthcare System, Visteon, ADP and Henry Ford Community College. Dearborn schools fall into one of three school districts: Advanced Technology Academy School District, Dearborn City School District and Riverside Academy School District. There are a number of private and charter schools in the city, providing a variety of options when it comes to your child's education. You also have a few choices for higher education, with the largest campuses being the University of Michigan-Dearborn and Henry Ford Community College. Utilities: The city of Dearborn oversees residential water and sewer services, including billing and service start-up. DTE Energy is the city's primary energy provider. Garbage and Recycling: You'll receive city-issued disposal cans for your trash and recyclables, both of which will be used for curbside collection. Transportation: The SMART Bus and the Detroit Department of Transportation both operate public transit options in Dearborn. Despite having all the facilities of a big city, Dearborn's neighborhoods maintain their small-town character. The city's tree-lined streets feature charming historical homes, luxurious estates, quirky bungalows, modern townhouses and compact condominiums. Dearborn also has numerous apartment complexes, many of which offer affordable, easy-care living for senior residents. The average home price in Dearborn is fairly even with the nearby city of Detroit, and just slightly higher than national averages. Our lowest priced units in Dearborn, MI average $58.33 per month. 183 people have reserved units in Dearborn, MI in the past 30 days. There are 3 locations within Dearborn, MI's city limits. There are 2 locations in Dearborn, MI that offer AC and Heating features.